Allen C. Smith, Sr "Savage"., 54, of Port Monmouth, peacefully passed away Friday, April 12th, at his home after a valiant 5 year battle with cancer. Allen was born in Perth Amboy, on December 5, 1964, a son of Donald Smith and the late Beatrice Smith. He lived most of his life in Belford before moving to Port Monmouth in 2005. Allen was a radio technician at Wireless Communications in Metuchen, since 2012. Prior to that he worked at Atlantic Coast Communications for 26 years until they went out of business. 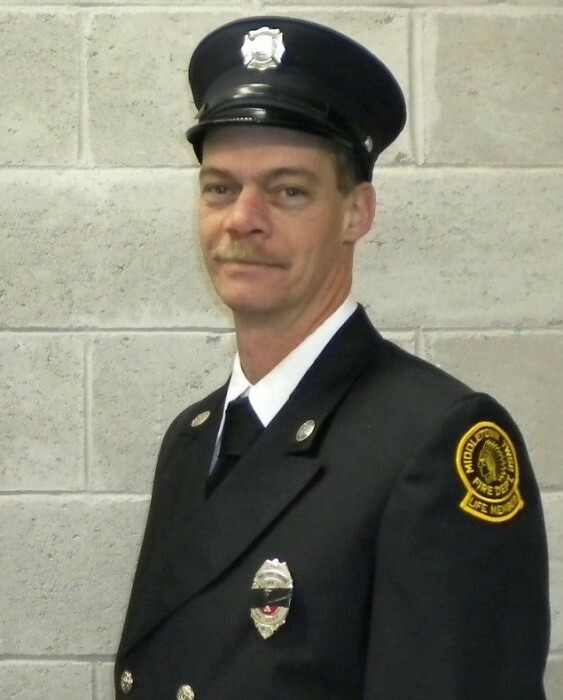 Allen was a dedicated fireman for 36 years. He was a past member of Belford Independent Fire Company and a current member and Past Captain of the Belford Engine Fire Company Station 3. In his spare time he enjoyed fishing, bowling with the firemen's bowling league and having a cold Coors Light with his friends. He was an avid Giants fan. Allen was also very handy; he rebuilt his entire house room by room. He will always be remembered as being a big kid at heart and was always teasing and picking on his own children. He was a loving husband and father who will be greatly missed by his family and friends. Friends and relatives may pay their respects Wednesday from 5 - 9 pm and again Thursday from 10 - 11 am, just prior to the funeral service at Scott & Kedz Home for Funerals. The burial and committal will follow at Fairview Cemetery in Middletown.